What I’m Doing for Two Weeks of the Smoothie Challenge was posted on May 27th, 2015 and is filed under Healthy Living. This entry has 5 comments. You can follow any responses through the RSS 2.0 Comment Feed. …Or maybe it’s because I’m beginning to feel like myself again. I’m finding joy in creation, getting stronger, and learning more about the things I’m interested in. For the first time in almost four months, I did an actual workout (not just a walk!). It felt good, but it was humbling to realize how weak I am now. Since my car accident, I’ve felt like a lesser version of myself…so it’s wonderful to feel motivated and to be doing more creative projects…more like me. I’ve been praying for God to give me more joy and He’s been so faithful to do that. However, I do feel the “pull” to do some detoxing. I think back to all the drugs/toxins I’ve taken in the last few months, and while I’m thankful for their ability to dull pain, I know that as drugs kill the “bad things”, they also get rid of a lot of the good stuff (i.e.good bacteria) too. So for the first two weeks of the Colourful Smoothie Challenge, I’m doing Philosophie’s Cleanse. I’m really quite stoked about it. I’ve done Sophie’s 5-day Cleanse before and I really enjoyed it. The recipes are good, so its not like you’re eating rabbit food and are hungry all the time. And there are lots of good smoothie recipes…and you know that’s what I’m all about! For more info, check out Sophie’s Cleanse FAQ page and how to decide what cleanse is right for you. 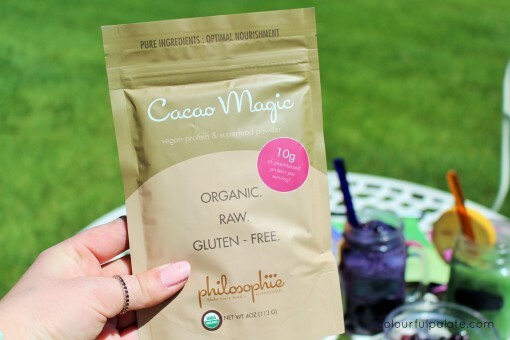 My favourite of her superfoods is the Cacao Magic… It has little bits of cacao nibs in the mix, which actually has had me eating the powder straight. Yah, I did that.. It also has Chinese medicinal mushrooms- reishi, cordyceps, chaga…as well as maca, cacao powder & nibs, chia seeds, tocos and fresh vanilla. Superfood heaven. I probably use Green Dream the most. It goes well in every smoothie and I like to dust a little on my salads too! It contains spirulina (you know how I feel about that! ), fresh vanilla pod, raw vegan sprouted protein powder (hemp), maca (balances mood, high in iron and protein), tocos (vit.E), chia seeds, mesquite and chlorella. 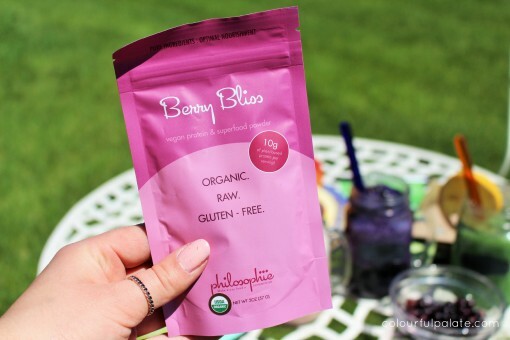 Berry Bliss goes well in everything fruity. I’m loving it in my strawberry protein shakes…its high antioxidants, protein, vitamin A, and contains camu camu—on of the best forms of vitamin C. There’s also the highest quality, sprouted, raw brown rice protein powder – a perfect combination (superfood + protein powder), if you ask me! So if you want to join me in doing the 5-day (or 14-day challenge!) 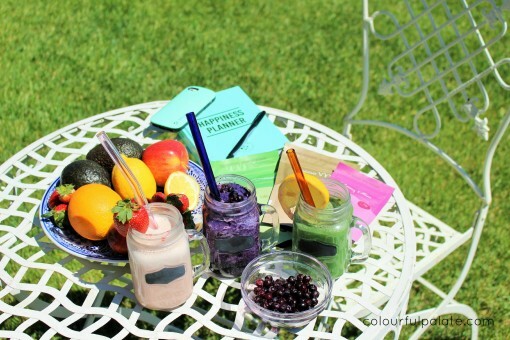 sometime during this Colourful Smoothie Challenge – it would be so fun doing this together! 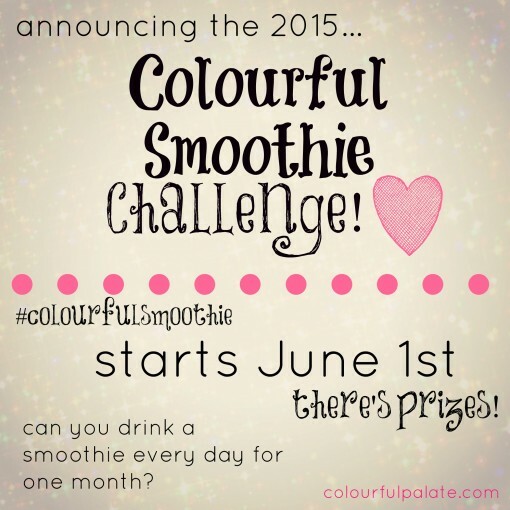 ALSO, if you haven’t signed up for the Colourful Smoothie Challenge yet, do it here! I’m off to visit some family for the weekend, so I’ll be back to blogging on the 1st day of the Challenge! Here’s to June and a magical summer! 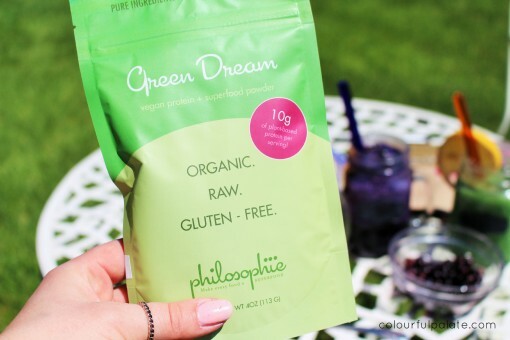 Have you heard of Philosophie before, or tried any of her products? Which one would you try? Aw! I love the woman behind the brand Philosophie!!! :) Your cleanse sounds delicious! Glad to hear you are feeling better! Come backs are hard but you will get there. This sounds like a recipe for success! I will be cheering you on! Good for you. I know the feeling of medication ‘toxicity’! It was what you needed to help you heal in ‘comfort’ but I think your choice is wise. I am glad it’s not a true ‘cleanse cleanse’ meant only for weight loss. You inspire on a whole other level! Goodluck! !